Once you have loaded a TuneBoy map into your ECU you can make changes to fuel and ignition while the motor is running, this allows a dyno operator to tune the motorcycle faster than they could if they had to stop and reflash the ECU before any changes are made. The changes are saved to the ECU without needing to reflash the ECU, this speeds up the tuning process. With a wide band O2 sensor fitted to the exhaust pipe the TuneBoy Trim software on the PC will record the mixture and make corrections to bring the air fuel ratio to the point that provides best power and smooth running of your motor. The software can adjust the mixture on each cylinder at the same time (Requires multiple wide band O2 sensors) or all cylinders from a single wide band O2 sensor, The software supports several wide band O2 controller types, these include Innovate, Zeitronix, ECOTrons and APSX_D1. If you only have one wide band O2 sensor you can still tune each cylinder individually, it just takes four times as long. We have found it is very important to tune each cylinder on the VMax and the cross plane crank R1 as these have very different maps for each cylinder. The TuneBoy Cruise Control map file adds full electronic cruise control to your motorcycle, this allows you to hold speed at the push of a button. When the cruise control is activated the ECU will monitor the speed of the motorcycle and adjust the throttle to hold the set speed, this works just like the cruise control in a modern car. Cruise will hold within 2kph under most conditions. If you touch the front or rear brake the ECU will drop out of cruise control mode and the throttle will return to the closed position, the clutch will also disengage the cruise control. While the cruise control is active the rider can apply throttle to overtake and the cruise control will take over control once the speed drops to the target cruise speed. The Cruise Control is activated by pressing the mode button with some throttle applied (On bikes with a mode button), when the throttle is closed the mode button changes power modes as it always has. Once the Cruise Control is in control a short press of the mode button will add 1 kph to the set speed, a long press (nore than half a second) will take 5 kph away from the set speed. If you purchase the optional TuneBoy Nudge Buttons you can adjust the cruise control speed using the nudge buttons. Cruise control is supported on the MT09, MT09 Tracer,FZ09,FJ09, R6 (2012-2016), VMax (2009-2018), R1 and R1M (2015-2016). On the MT09,Tracer,FZ09,FJ09 the cruise throttle is limiter to 15% throttle. Cruise control on the Gen II VMax. As Dyno load is changed you can see the throttle position change. The auto tuning feature allows you to tune the low throttle area using the standard narrow band O2 sensors that your motorcycle comes with. The auto tuning operates without a PC connected, With the Auto Tune turned on the ECU will adjust the auto tune fuel trim tables to bring the air fuel ratio to the target 14.7/1, this auto tune only operates in the low throttle area up to 20% and 5000 RPM. Once the trim tables have been auto tuned to the 14.7/1 target you can manually adjust the low throttle area to a target air fuel ratio that will provide a much smoother ride. Auto tuning is not a replacement for dyno tuning however it does provide a simple way to smooth out the rough running at low throttle and low RPM. The TuneBoy module has a built in six axis IMU. this allows the TuneBoy map inside the ECU to control wheel lift based on the gyro angle, it also allows the ECU to adjust the throttle action based on the lean angle of the bike, this gives the rider a slower initial throttle action when the motorcycle has a high lean angle and a more aggressive throttle curve when the motorcycle is upright. The lean angle of the motorcycle is included in the data log along with RPM, throttle position, Speed, Gear, Engine temp and other ECU info. The TuneBoy map in the ECU can use the lean angle info from the Yamaha IMU to provide a more gentle initial throttle when the motorcycle is leaned over. This works by tracking the lean angle as you tip into a corner. When you start to open the throttle the TuneBoy ECU code plots a throttle curve based on the current lean angle. If the motorcycle is at a high lean angle this will provide a very gentle and gradual throttle, this gives the rider better control when the motorcycle is on the side of the tyre. If the motorcycle is upright the throttle curve will be more aggressive. This provides the best of both worlds, gentle throttle when leaned over and fast throttle when you are upright. This option can be enabled or disabled without needing to reflash the ECU, simply select the option and save the settings. The lean angle mode replaces the A-Mode throttle mapping when it is enabled. The TuneBoy map files have two extra power modes that the rider can select. The extra power modes are selected by turning the throttle to full throttle and pushing the up button on the TuneBoy nudge buttons. 5000 RPM indicates the standard Yamaha power mode. 6000 RPM indicates the TuneBoy linear torque power mode. 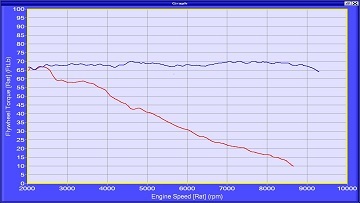 The TuneBoy linear torque power mode provides torque proportional to throttle position, the graph below shows the torque on the Gen II VMax when the throttle grip is held at 25%. The red line is the torque with the standard power mode(Only one on VMax), the blue line is the TuneBoy linear torque power mode. The short pull power mode provides the same power delivery as the linear power mode, it just does it sooner. In this mode full power is at 70% throttle grip rotation. The strain gauge quick shifter is available for the R1, R6, MT07/FZ07, MT09/FZ09 and Gen II VMax, we will add support for more models if we get enough requests for that model. The TuneBoy strain gauge shifter is custom made to fit without any wiring modification, the quick shifter plugs into the TuneBoy device or the O2 sensor plug (Depending on the model). The strain gauge Quick Shifter has no moving parts, it measures the amount of force applied to the shifter and outputs a voltage that the ECU can measure. The TuneBoy map file allows you to set the amount of pressure required before the quick shifter kills the power, this allows you to adjust the shifter for your riding style. The shift pressure is automatically increased at higher throttle openings to make sure you don’t have any missed shifts. The strain gauge quick shifter can be used in regular or race shift pattern, you simply select “Race Pattern” in the TuneBoy configuration options to tell the ECU you have a race pattern setup. The auto blip allows clutchless down shifting, this requires the TuneBoy strain gauge quick shifter before you can use this option. When you push down on the gear lever the ECU detects this and it will blip the throttle to unload the gearbox, this provides a smooth down shift without needing to pull in the clutch. The ECU will also hold a small amount of extra throttle after the shift, this reduces the engine brake effect to allow the motor to catch up to the wheel speed without locking up the rear wheel. During this catch up period the power is killed to make sure the motorcycle does not lurch forward. The auto warmup mode does a series of controlled throttle blips, this speeds up the warm up of the motorcycle before riding. MotoGP teams have a mechanic do this to bring the engine up to the correct running temperature without running the risk of fouling a spark plug. The auto warmup feature is available on the MT09,FZ09,MT10, R1 (2015-2016) if you have the cruise control button, holding the cruise control button for two seconds starts the auto warmup mode, For MT09,MT09 Tracer,FZ09,FJ09,MT10 this is done with the mode button. The shift light feature allows you to fit a bright shift light to your motorcycle, this simply plugs into the second O2 sensor plug. Description: TuneBoy Advance Kit With TUNING (does not include Cruise Control). Supports TuneBoy quick-shifter with clutchless up shift and downshift auto-blip (*Requires strain gauge quick shifter – sold separately). This kit provides the user with a TuneBoy Denso module for connecting between PC and the motorcycle. The software allows you to create custom mapping for your motorcycle or you can use it to load one of our trim files. This is for the MT09 and MT09 Tracer. Description: TuneBoy Advance Kit With TUNING. 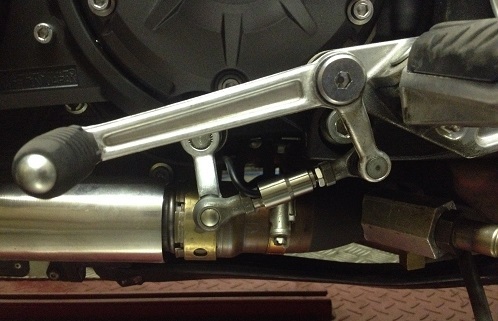 Supports TuneBoy quick-shifter for clutchless up shift (*Requires strain gauge quick shifter – sold separately). This kit provides the user with a TuneBoy Denso module for connecting between PC and the motorcycle diagnostic plug. The software allows you to create custom mapping for your motorcycle or you can use it to load one of our trim files. This is for the MT07 and FZ07. Description: TuneBoy Tuning kit (does not include Cruise Control). Supports TuneBoy quick-shifter with downshift auto-blip (*Requires strain gauge quick shifter – sold separately). This kit provides the user with a TuneBoy Denso module for connecting between PC and the motorcycle. The software allows you to create custom mapping for your motorcycle or you can use it to load one of our trim files. This is for the 2015 up R1 and R1M. The software provides live tuning of the fuel and ignition tables, you can adjust rev limit, disable EXUP and SAI, you can adjust thermo fan settings, this software also adds the lean angle throttle mapping. Description: TuneBoy full package, this kit includes the Cordona QuickShifter, TuneBoy flash module, Cruise control button and loom and the software required to reflash the ECU. The QuickShifter replaces the lower rod on your current shifter and adds the down shift auto blip feature, the up-shift is still handled by the Yamaha shifter so you don’t lose the nice clean up-shift. The Cruise Control button bolts to the clutch perch bolt and activates the electronic cruise control when pressed, this also activates the warm up blip feature if the bike is idling in neutral. The kit provides the user with a TuneBoy Denso module for connecting between PC and the motorcycle. The software allows you to create custom mapping for your motorcycle or you can use it to load one of our trim files. This is for the 2015 and 2016 R1, R1F, R1S, R1M and R1MF. The software provides live tuning of the fuel and ignition tables, you can adjust rev limit, disable EXUP and SAI, you can also adjust thermo fan settings and velocity stack open point, this software also adds the lean angle throttle mapping. Description: TuneBoy Advance Kit With TUNING (does not include Cruise Control). Supports TuneBoy quick-shifter with downshift auto-blip (*Requires strain gauge quick shifter – sold separately). This kit provides the user with a TuneBoy Denso module for connecting between PC and the motorcycle. The software allows you to create custom mapping for your motorcycle or you can use it to load one of our trim files. This is for the 2015 and 2016 MT10 (2017 ready soon). Description: TuneEdit Advance Denso Yamaha Kit. Includes both Cruise Control and Tuning. Supports TuneBoy quick-shifter with clutchless up and down shift and downshift auto-blip. This kit provides the user with a TuneBoy Denso Yamaha module. With this you can create your own custom map to suit most bike set-ups. Includes electronic cruise control and support for quick-shifter. This is for the MT09 and MT09 Tracer. Description: TuneEdit Advance Denso Yamaha Kit. Includes both Cruise Control and Tuning. Supports TuneBoy quick-shifter with clutchless up and down shift and downshift auto-blip. This kit provides the user with a TuneBoy Denso Yamaha module. With this you can create your own custom map to suit most bike set-ups. Includes electronic cruise control and support for quick-shifter. This is for the Gen 2 VMax. Description: TuneEdit Advance Denso Yamaha Kit. Includes both Cruise Control and Tuning. Supports TuneBoy quick-shifter with clutchless up and down shift and downshift auto-blip. This kit provides the user with a TuneBoy Denso Yamaha module. With this you can create your own custom map to suit most bike set-ups. Includes electronic cruise control and support for quick-shifter. This is for the 2012 to 2014 R1. Description: TuneBoy Tuning kit (does not include Cruise Control). Supports TuneBoy quick-shifter with downshift auto-blip (*Requires strain gauge quick shifter – sold separately). This kit provides the user with a TuneBoy Denso module for connecting between PC and the motorcycle. The software allows you to create custom mapping for your motorcycle or you can use it to load one of our trim files. This is for the 2012 to 2014 R1. The software provides live tuning of the fuel and ignition tables, you can adjust rev limit, disable EXUP and SAI, you can adjust thermo fan settings, this software also adds the lean angle throttle mapping. Description: TuneEdit Advance Denso Yamaha Kit. Includes both Cruise Control and Tuning. Supports TuneBoy quick-shifter with clutchless up and down shift and downshift auto-blip. This kit provides the user with a TuneBoy Denso Yamaha module. With this you can create your own custom map to suit most bike set-ups. Includes electronic cruise control and support for quick-shifter. This is for the 2012 to 2016 R6.